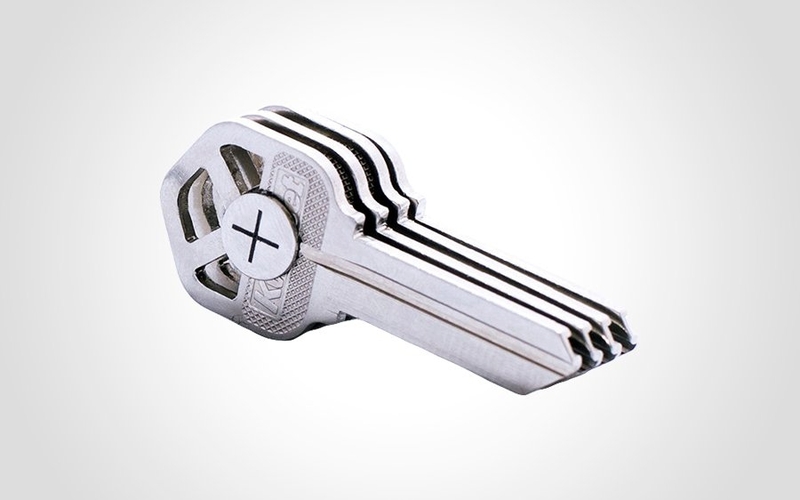 The Pixel keychain light from TEC Accessories is so compact, you can set it and forget it. That is, until you need it, of course. 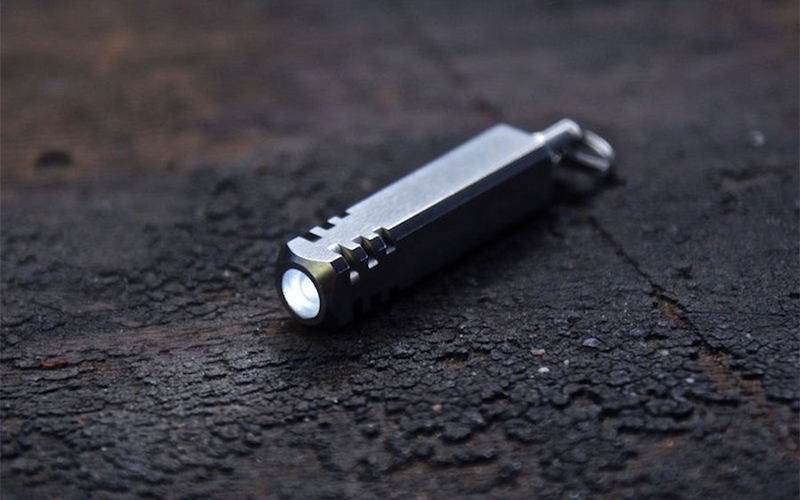 At 1.69” long and 0.32” wide, it’s smaller than the keys it would ride next to on your keychain, but still packs a capable 25 lumen output from its 5mm Nichia LED. With a quick twist, you’ve got plenty of light for quick, casual lighting tasks on the go. It’s a step above cheaply made 5mm LED lights in its class too, thanks to its sturdy anti-roll stainless steel body, beefy keyring attachment point, and water resistant O-ring seal. You can snag a Pixel for backup light and keychain duty at the shop link below. Silence is golden. Especially on a loaded keychain. And if you've had enough of your keys tangling and jangling, the MagKey kit might be just what you need. It comes as a set of four adhesive magnets to keep your keys consolidated, silent, and organized thanks to the magic of science. Grab a set and clean up your keychain in the most minimal way from StackCommerce at the link below. 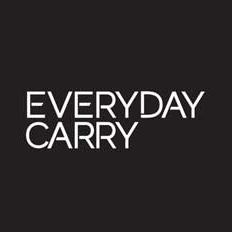 Win an EDC of Our Shop's Best-Selling Gear! Update: This contest has ended, thanks for participating! Head over to StackCommerce for more details. Who else loves free EDC gear? Every week or so, we'll be giving away prize packages full of interesting gear we get our hands on, or very special single item prizes for you to win. The beauty of a quality multitool lies in its ability to consolidate multiple tools into an easy to carry item. 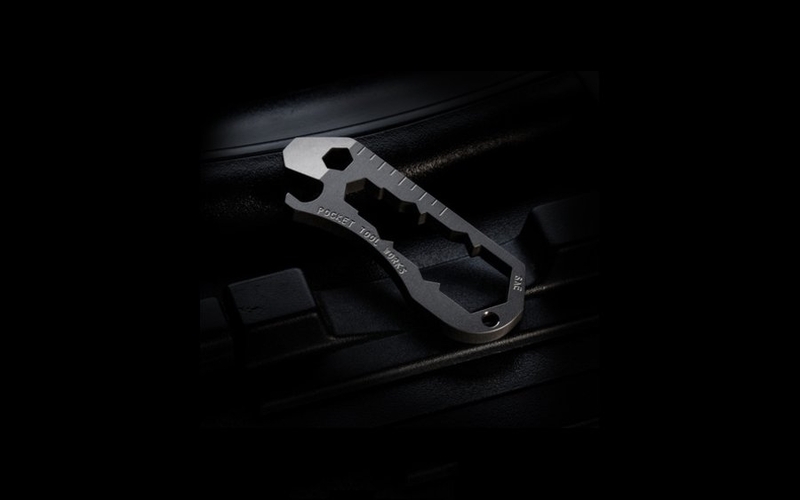 The KWR-G5 SAE by Pocket Tool Works does just that by packing five tools into a body that’s only 2.8” in length. Whether you want to pop open a bottle of your favorite drink or tighten a screw, this tool has you covered. The KWR-G5 SAE can withstand the twisting and prying of your typical daily tasks thanks to its Grade 5 titanium materials. This means that it’s not only durable enough for your pocket, but also light enough to attach to your keychain or lanyard via a small key ring hole. Each handcrafted KWR-G5 has smooth curves and a quality finish that you’d be hard pressed to find in mass produced tools. If you’re looking for a multitool that’ll last, check out the offerings from Pocket Tool Works on our shop at the link below. Battery packs are an essential part of virtually any daily carry, but similarities between products can make it hard to choose the right one. For those who like to travel or spend time outdoors, the solar charging panel-equipped ZeroLemon SolarJuice is a clear standout. While the SolarJuice can still be plugged into a socket and charged normally, 8 hours in the sun will refill its 10,000mAh battery by 50%, giving you enough power to charge an iPhone 6 twice. 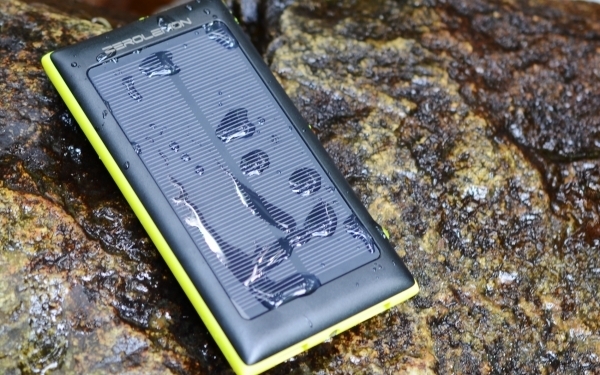 The SolarJuice is also water-resistant, has a built-in LED flashlight, and features dual USB ports, making it possible to refill two devices simultaneously in rain, shine, or darkness. Interestingly, and unlike other battery packs, the SolarJuice also uses lithium-polymer batteries instead of lithium-ion. This makes it a bit lighter and more versatile than power banks with lithium-ion batteries, which are sensitive to extreme heat and cold. For anyone planning to spend a good amount of time away from a wall socket, the ZeroLemon SolarJuice will give you a novel, flexible way to recharge your devices. Get one on sale from our shop at the link below. 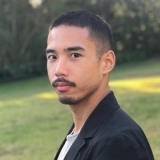 Digital wallets aren’t quite the norm yet, but they could soon impact how and what you carry everyday. 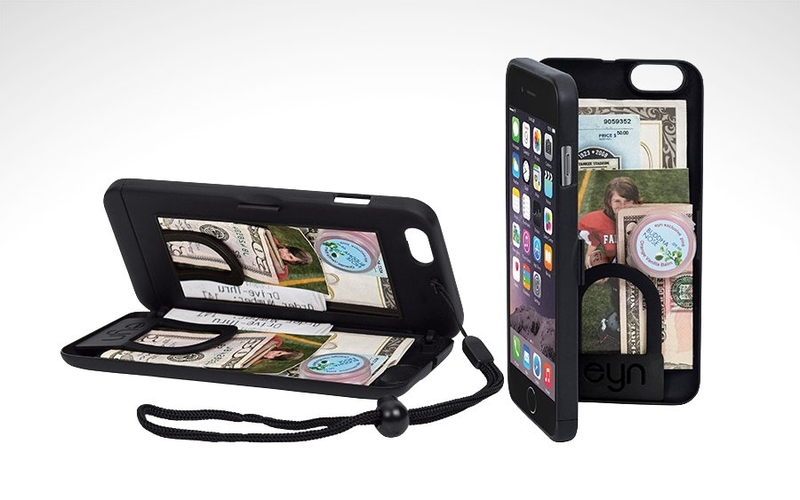 In the meantime, the eyn iPhone wallet case is a good place to start if you’re looking to phase out your wallet. It has a hinged compartment on the back that lets you stash cash and up to three cards. Besides replacing your wallet, it also acts as a protective case for your iPhone. For extra security, it’s got a grippy, rubberized coating and a wrist strap just to be safe. Lastly, its hinged back design doubles as a kickstand when watching videos or making video calls. If you’re not entirely comfortable with completely replacing your wallet or purse, you can always use it for just the bare essentials. Leaving town? Bring a wallet. But for your average outings, this wallet case could get the job done. If you’re looking for another way to carry less, you can pick up the Eyn iPhone wallet case at our store via the link below. When it comes to your EDC keychain, KeySmart knows a thing or two (their key holder remains one of the most carried keychains on this site). This time around, they’re aiming to add even more utility to your keychain with their trio of one-piece Nano Tools. The Nano Wrench packs a full set of hex wrenches and a flathead screwdriver at its tip. For turning other screws, the Nano Socket fits a standard bit in two orientations. 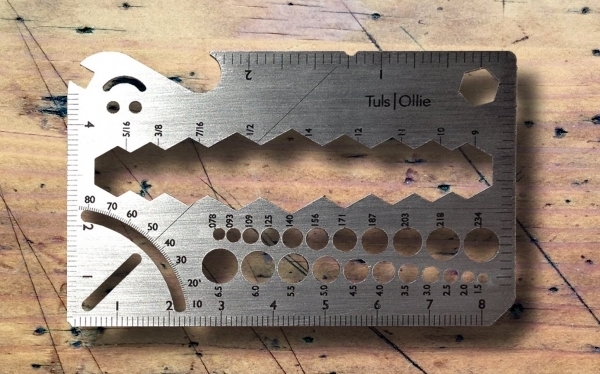 Lastly, the Nano Ruler gives you a measuring rule and straight edge for precision work. 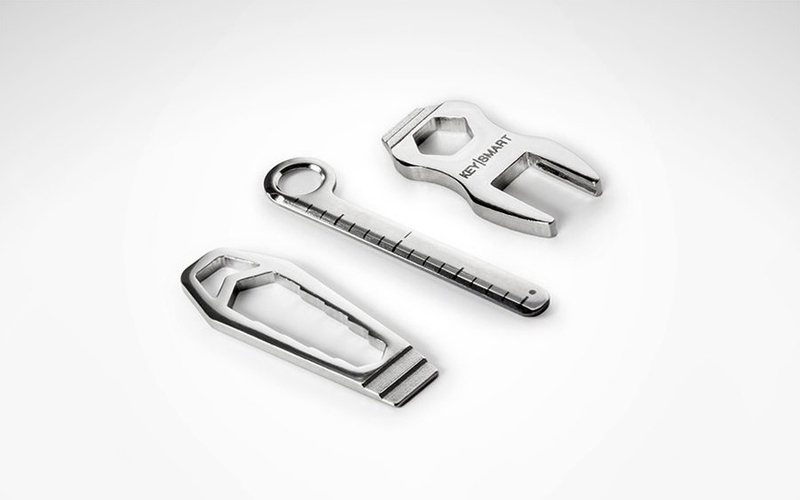 All three tools are made of heat treated stainless steel, built to last on your keyring. Pick up the whole set of three on sale from our online shop at the link below. There’s never a bad time to prepare. Cordage is one of the most versatile essentials you can add to your EDC, and 550 paracord is pretty much the standard for its high strength. The Traveler Paracord Watch incorporates this useful tool right into the watchband. It’s not just for style, either—in times of emergency, paracord can be fashioned into many useful things like tourniquets and splints, just to name a few. We hope you’ll never need to use it for that, but it’s good to be prepared just in case. Aside from the paracord, the watch offers water resistance up to 100 meters and glow in the dark numbers for legibility when lighting is less than optimal. 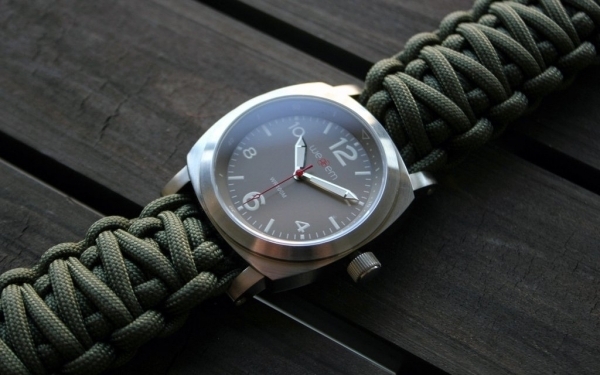 If you've been looking for ways to carry paracord without stuffing more into your pockets, make sure to check out this watch from our shop at the link below. Like it or not, your smartphone is one of the most important items in your EDC. The ThinCharge Battery Case has you covered with some extra battery life for those long days when your iPhone might need a little help. With note taking apps, built-in flashlights, and the emergence of digital wallets, smartphones are becoming an essential tool of the future. That is, until its battery dies, or worse—it plummets to the pavement. There are plenty of battery cases to choose from, but they either don’t provide enough of a boost in battery life or are too bulky for everyday use. The ThinCharge packs a 2600 mAh battery into a slim design that's only 0.5” thick while still protecting against scratches and drops. Just for reference, that's thinner than two iPhone 6’s stacked on top of each other. It also has pass-through charging which charges the phone first, followed by the case. 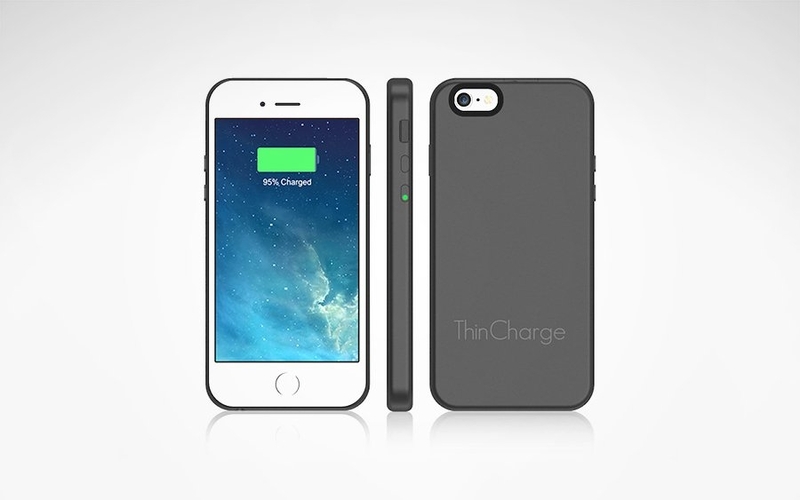 If you find yourself keeping one eye on your phones battery, grab a ThinCharge battery case from our shop at the link below. The best tool is the one you have on you. For tackling quick repairs, projects, and other handiwork, make it the Tuls Ollie. Its one millimeter thick credit-card sized frame packs a lot of features into a tiny package that you can carry in your wallet. For your measuring needs, it integrates both metric and imperial scales on its sides, a protractor for calculating angles in one corner, and dual-standard gauges for sizing up wire diameters in its midsection. It accommodates hex wrench sizes of up to half an inch. In the corner next to the bottle opener, you can find a specialized bicycle spoke wrench as well. If you need even more hex wrenches at your disposal, there’s the Lucy tool. Both Ollie and Lucy are available in titanium or stainless steel, on sale at our store at the link below. 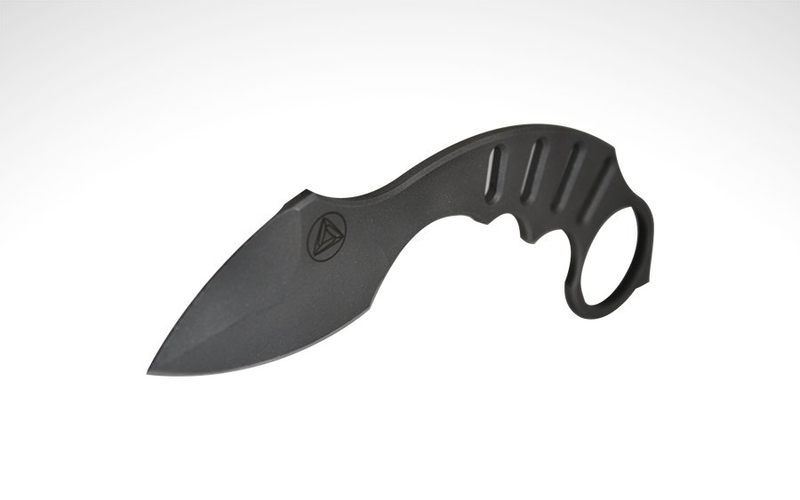 When looking for a hard-use knife you want something that won't slip out of your hand and has fewer moving parts that can fail. The Dragon’s Tail knife’s karambit-inspired design and blade shape make it suitable for tackling any everyday utility task you throw at it. Made of D2 high-carbon chromium steel, this blade keeps a sharp edge and stays tough against the elements and the wear of heavy-duty use. Its custom kydex sheath, fitted with mounting holes and reversible clip gives you multiple carry options. True to its name, the Dragon’s Tail has a curved handle with a thumbhole for secure grip and blade retention. You can make this sharp and functional blade a part of your everyday carry at our shop at the link below. No matter your destination, you can be prepared with access to fire right in your pocket. This TSA-approved, eco-friendly electronic lighter is both gas-less and flameless, making it ideal for you frequent fliers. It can ignite anything you throw at it with its high output coil heating element, even in high wind. A 15 second auto-shutoff feature helps ensure your safety as well. 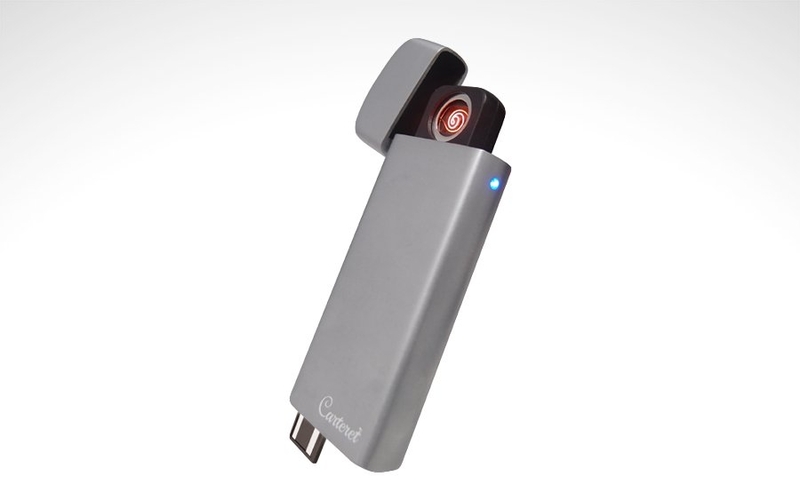 The lighter will last up to 50 uses before having to plug it in, and its built-in USB adapter and light-up charge indicator makes the recharging process easy. You can purchase this lighter in either black or silver at our shop at the link below. 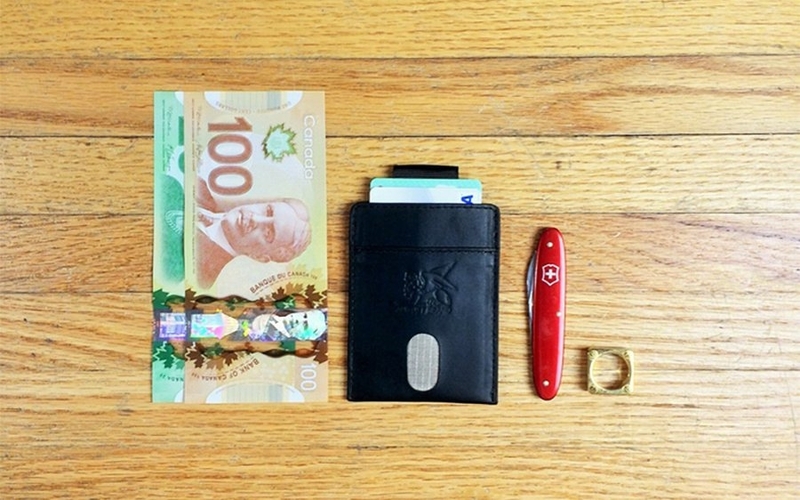 The Hover wallet is thin—0.3 cm, to be exact. But to make a good wallet, slimming it down isn’t enough. It takes the right features to make it not only easy to carry, but easy to use, too. That’s why the Hover wallet has features to give you multiple ways to get to the cards you need. You can extract your stack of cards from the center pocket with a quick tug of the ribbon pull. For more frequently used cards stashed in the outside pocket, a thumb slot lets you slide them out quickly. The Hover is made of leather to accommodate 10 or more cards and some cash, ride discreetly in the pocket, and protect against RFID signals to boot. Get one for your EDC on sale at our shop at the link below. The NOCO ChargeLight lets you kill two birds with one stone—if those birds are charging your devices and lighting the way, and the stone happens to be made of aircraft grade aluminum. 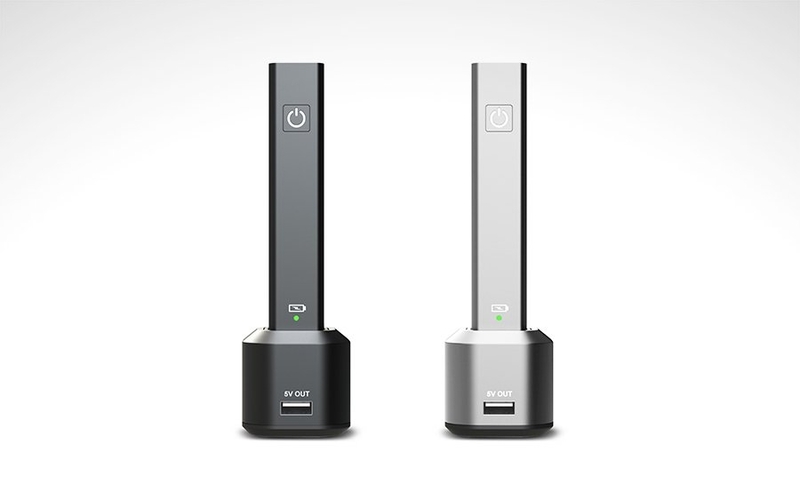 As a power bank, it provides 2600mAh of charge (enough to fully charge an iPhone 6s and then some). On the business end, it pushes up to 250 lumens from its Cree XT-E LED through special optics for a uniform beam. Out back, it's got USB ports and terminals to charge wirelessly right in its docking station. All these features are packed into a sleek, durable unibody only 5.2" long for easy carrying. You can grab a ChargeLight to consolidate your EDC from our shop, on sale now at the link below. 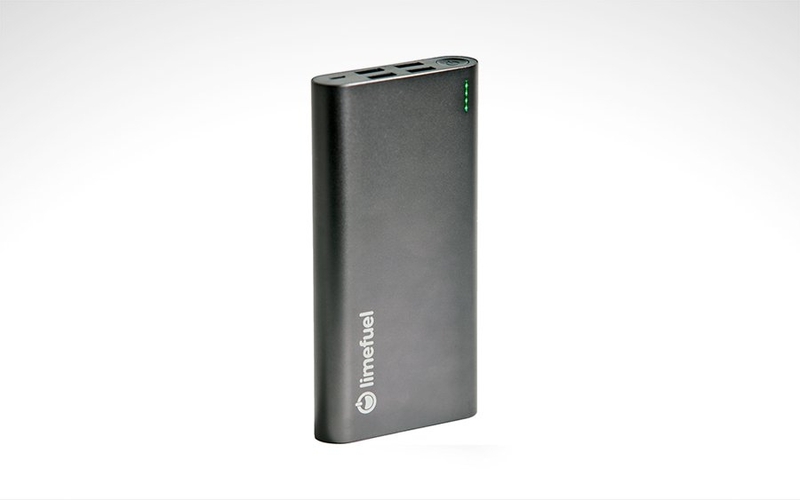 It's no surprise how useful a backup battery can be for the electronics you carry as a major part of your daily kit. What is unexpected, however, is how far battery technology has progressed in recent years. The Limefuel Blast not only packs a 20,000mAh capacity (good for many charges for your devices), but it can also share that capacity across four USB ports. Each of the ports also charge quickly with a 2-amp input, double the amperage most stock device adaptors can charge with. The Blast's smart electronics notify you of charge levels and even shuts the battery off automatically to preserve itself and to avoid overcharging. The pack also comes in a sleek aluminum case for ease of carry. You can top up your carry and all your everyday electronics with the Limefuel Blast, available now from our online shop at the link below. Cocoon's versatile GRID-IT! panels have long been the staple of big bags with few options to organize their contents. The crisscrossed mesh system secures items large and small, with usable space both customized and maximized your needs. But why stop at just panels? 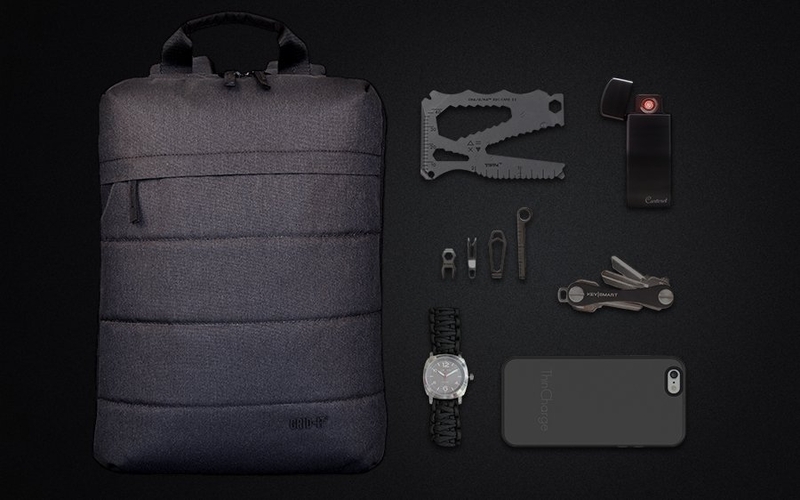 Cocoon designed the 16” Tech Backpack from the ground up with an entire integrated GRID-IT! system for carrying your tech essentials. 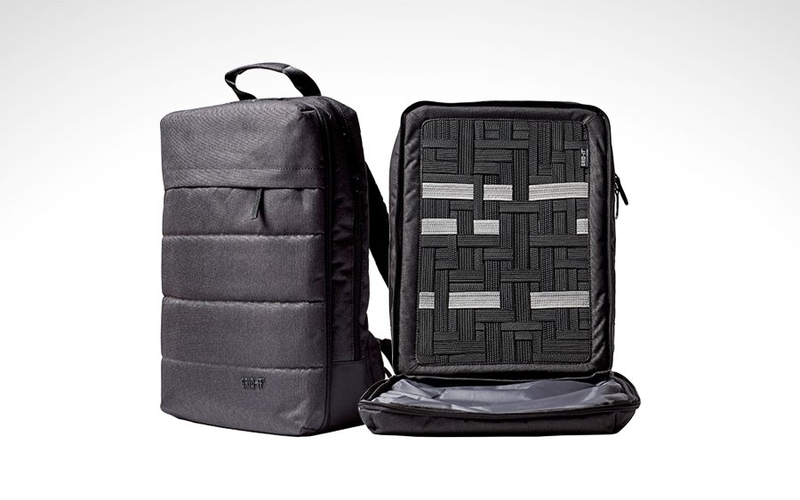 This sleek pack takes a 16” laptop with a dedicated, padded compartment. GRID-IT! mesh covers its entire middle section, storing gear and wires of any size. Its water-resistant nylon exterior keeps your electronics dry, with zippered compartments accommodating even more everyday essentials. It also comes with a top handle and padded shoulder straps keep the pack comfortable while in use. Make it fit with Cocoon Innovation's Tech 16” backpack, on sale from our online shop at the link below.